I am not a shopper. I should be genetically predisposed to it because my mom is a shopoholic, but that gene seems to be recessive in me. And really, I am not much of a holiday person in general (just ask all my relatives who never get birthday presents, let alone cards that are delivered on time). But this year Black Friday really caught my attention. It seemed to be hyped more than normal. Maybe because everyone is so desparate for the economy to bounce back. If we are all shopping up a storm it gives us a sense of security! But along with all the Black Friday stories I also heard a news report that charitable giving was way down and that most people planned to give less this year. Please don't be one of "those" people. During this holiday season please take a few minutes and a few dollars and remember two charities that are very near and dear to my heart: the Liangping Orphanage and Our Family Adoptions. Liangping is the orphanage where Grace spent the first 8 months of her life. It is a small, rural orphanage. They do the best they can with very limited resources. We feel like Grace was loved in Liangping, but probably not very well fed. 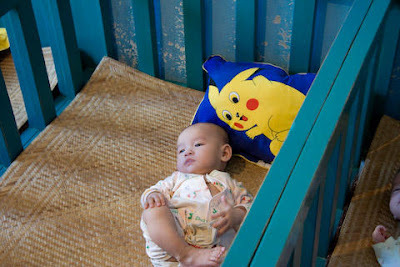 Your donation to the Liangping Orphanage goes directly to the purchase of formula for the babies. To help feed the beautiful babies of Liangping please visit this website which explains how to make your donation. I would also like to encourage you to support Our Family Adoptions with a donation this year. Our Family Adoptions is the organization that made it possible for us to bring our darling Haven home this year. 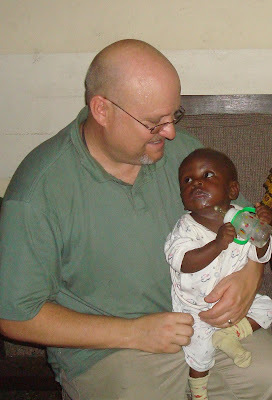 In addition to facilitating adoptions Our Family Adoption is a major source of supplies and food for orphanages in DRC. The orphanage that sponsored Haven has truly unthinkable conditions. When Brian visited in May there was literally not a drop of formula for the infants. All the children had to eat was some kind of powdered cereal mush. The building was under construction and the environment was very chaotic. If we could find a way to bring everyone of them home to new families we certainly would and I know everyone at OFA feels the same way. But that is simply not possible, so we must do everything we can to make their lives bearable in DRC. 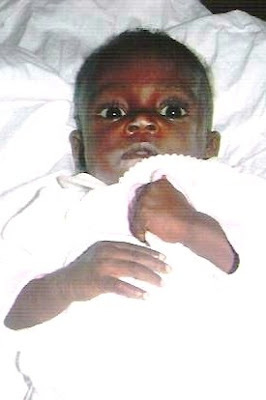 To support the care of orphans in the Democratic Republic of Congo please visit the Our Family Adoptions website. You can donate by check or directly through the welcome page of their website here. I thank you so much in advance for any and all support you are able to give to Liangping Orphanage and Our Family Adoptions. And I leave you with a few pictures of our darlings from Thanksgiving. Just look at them now!!! !